Lift-and-Slide doors slide on an internal hardware track that keeps the door flush against the floor. This embedded track means they have strong forced-entry and storm ratings compared to other sliding doors. 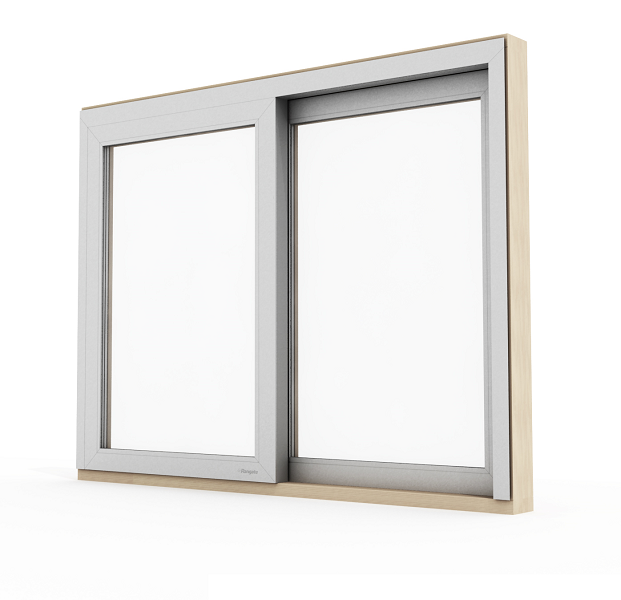 The 'Lift' part of the name means the panels lift from the sill to allow large panels to glide without friction- this allows for a larger opening with fewer panels and more glass. Because of this, Lift-and-Slide doors are popular as window walls, even in ambitious curved applications. The panels can rest on any point in the track, for greater flexibility. To see how the grooves for the internal hardware track, locking mechanism, and gasketing are machined, consult this video. Each door style- whether a North American, Lift-and-Slide, European, or any other style- has its own hardware systems, including locks, handles, hinges and other limiting mechanisms to control movements. Weight bearing capacity, durability, security and other ratings are important factors in choosing especially for larger, heavier door designs. Hardware also should have acceptable water penetration and air tightness testing results for particular applications.